A few weeks ago, I started to describe someone as one of the best characters I met this year. Which got me to thinking about and honing this list. I’m limiting myself to characters I met this year, otherwise I don’t think there’s be much room for anyone — Spenser, Hawk, Scout, Harry Dresden, Toby Daye, Ford Prefect etc. wouldn’t really allow anyone else to be talked about. These might not be my favorite people in their respective books (although most are), but they’re the best characters in terms of complexity, depth and story potential I doubt I’d like most of them in real life (and can’t imagine that any of them would enjoy me), but in novels? I can’t get enough of them. 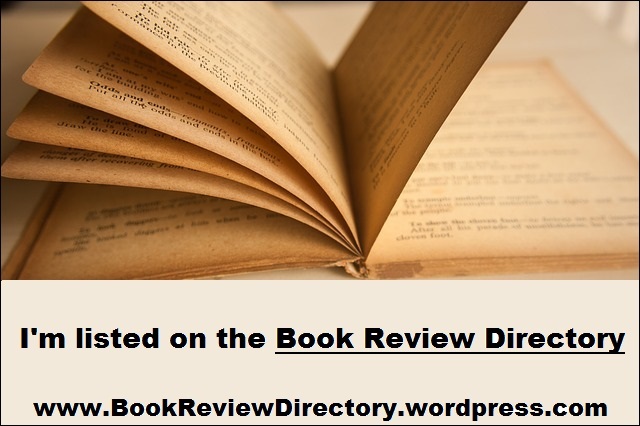 Aimee de Laurent from Skyfarer by Joseph Brassey (my post about the book)– she’s smart, she’s driven, she’s compassionate, she’s powerful, she’s fallible. She also flies around in a spaceship and does magic. Lori Anderson from Deep Down Dead by Steph Broadribb (my post about the book)– She’s more than Stephanie Plum without the Lucy Ricardo DNA. She’s a tough lady, a dedicated mom, and more. This bounty hunter will impress you with her guts, get your sympathy with her plight, and make you cheer as she bests her opponents (I should probably add “make you wince as she takes some brutal beatings). Ali Dalglish from In the Still by Jacqueline Chadwick (my post about the book)– Ali is a certified (and possibly certifiable) genius. She’s a criminal profiler working in Vancouver, BC after nearly a couple of decades away to raise her kids. But when a serial killer’s victim is found near her home, she’s drug back into the professional world she left with the investigation. She has the most creative swearing this side of Malcom Tucker, a fantastic and fast mind, a jaded look at life, and a sense of humor that’s sure to please. Early in In the Still, she asks questions of a police officer in a public forum and pretty much ruins the poor guy — it’s one of the best scenes I read all year. If you can read that far in the book and not become a Ali fan at that point, there’s something wrong with you. If I was ranking these, I’m pretty sure she’d be #1. Nick Mason from The Second Life of Nick Mason by Steve Hamilton (https://wp.me/p3z9AH-2NI)– A convicted non-violent criminal gets released early from an Illinois prison only to find himself in a different type of prison to work off his debt for being released, making him lose the “non-” in front of violent. He’s a great character, on the verge (always on the verge) of redemption and falling further. Dervan du Alöbar from A Plague of Giants by Kevin Hearne (my post about the book is forthcoming) — I could’ve named about half of the point-of-view characters from this book, but Dervan eked out a win. He’s a widower in mourning. A former soldier, wounded in duty, turned scholar, turned . . . well — that’s a long story. There’s something about his coming to grips with the new reality, his new vocation, his self-awareness and growth in his personal life just really clicked with me. He’s basically an unqualified fantasy hero, forced to step up and play a role in saving civilization (which actually describes many people in this book, but that’s for another day). Isaiah Quintabe from IQ by Joe Ide (my post about the book)– South-Central LA’s answer to Sherlock Holmes. We meet IQ early in his career and, via flashbacks, see him begin to develop the gifts that will make him the super-detective he’s destined to become. He’s such a great take on this character, I can’t believe no one beat Ide to the punch. 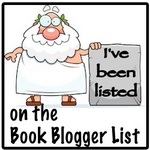 Anci from Down Don’t Bother Me by Jason Miller (my post about the book) — yeah, her dad, Slim, is the series start and protagonist. He’s the one that goes trough all the hardship, the beatings, the investigative moves, not his 12-year-old daughter (who isn’t a young Veronica Mars clone, or Rae Spellman). But Anci is the heart and soul of the books — she’s why Slim goes to work in this field, and why he comes back. She’s smarter and wittier than any 12-year-old has any right to be (but believably so), she’s Slim’s conscience, and his reason for doing what he does. LeAnne Hogan from The Right Side by Spencer Quinn (my post about the book)– comes back from Afghanistan after near-fatal injuries, and isn’t fit for the civilian life she’s thrown back into. She begins to deal with her grief and anger while hunting for the child of a dead friend with the help of a stray dog. She’ll break your heart. John Rebus from Knots & Crosses by Ian Rankin (my post about the book)– Wow. How do I sum up Rebus? 2017 was the 30th anniversary of Rebus’ creation and the first year I read him. He’s a wonderful, complex character. He smokes too much, he drinks too much, he ignores the rules and regulations (and maybe even the laws) in his ongoing effort to forget about himself and his life by pouring himself into his work. Tenacious with a capital “T”, he may not be the smartest police detective you ever read, but he makes up for it through not giving up (although he’s pretty smart — especially when not drinking). Hob Ravani from Hunger Makes the Wolf by Alex Wells (my post about the book)– Tough does not begin to describe this biker. She’s all about surviving on this planet that’s not at all conducive to survival — from the environment, to the economics, to the politics — there’s just nothing on the planet that wants her or her fellow Ghost Wolves to survive. But somehow she does. I really could just say, “You know that book that I (and just about everyone else) was so excited about a few months back? Well, the sequel is out now, and it’s just as good, if not better. Everything I wrote before still applies.” That’d be cheating, and not 100% accurate, but close enough I could do it with a clear conscience. When we left Lori, she was agreeing to work with an FBI Agent to bring someone in, in exchange for this, he’ll help exonerate JT from the crimes he’s been accused of. Lori has brought this particular escaped con in before — Gibson “The Fish” Fletcher, a thief and convicted murderer — and Agent Monroe assumes that should give her a leg up. This hunt takes her from coast to coast (and coast to coast), and even across the border. I’d like to think that her career before these last two cases was a whole lot more benign, because what she goes through in the couple of weeks recorded in these two novels is probably more than most people go through in their lives. Lori brings a PI she worked with before to track Fletcher in to help with some background, and Monroe hooks her up with a group of bounty hunters that he has experience with. Lori and her PI get along well, and work together even better. The bounty hunters, on the other hand, just don’t seem to want to work with Lori. The contrast between the people she’s allied with in this hunt is striking and helps the reader get a real grasp of Lori’s character. Every other character in this book deserves some discussion — well, most of them do — but I can’t do that without ruining the book. Let me just say that I’d be glad to see everyone that survives this book intact in the future — and maybe even some of those that don’t. This case is primarily Lori using her brain (and her PI’s) to get her man — yeah, there’s some fisticuffs, some gunplay — but this is about Lori being smarter than anyone else in the case. Similarly, in Deep Down, Lori takes some real physical punishment, but this time the punishment is more mental and psychological — she doesn’t escape without some serious bruising (at least…), but primarily it’s the emotional stress and punishment she’s given while on the hunt for Fletcher that will take its toll. In Deep Down the threat to Dakota was obvious and immanent — this time out, it’s more abstract, theoretical. Lori’s used a little money she just made to send her to camp. But if Lori can’t keep JT out of prison (or worse), getting him as a donor to help treat Dakota’s leukaemia is going to be near impossible. This is a nice change — you can’t have Dakota in constant peril, nor can you have Lori constantly distracted by her. Don’t get me wrong, I don’t want her to disappear, or be conveniently occupied all the time, but the reader needs it occasionally. As for JT? Well, being in prison in a state where one of the major crime lords has a hit out on you isn’t exactly easy. We don’t get the flashbacks to his training Lori as much, but Lori is constantly returning to his lessons for guidance — so his presence is felt throughout the book, even if he’s locked up the whole time. That training is what ultimately helps her — even if she has to ignore a good chunk of it, naturally, watching her decide when to ignore his training is painful, because she picks bad times and ways to do so. Lori is keeping something from JT — which is going to come back to bite her. I get why she’s doing it, and can sympathize — but I know she’s a fictional character and I know what usually happens to fictional characters who do this kind of thing. Am truly hoping that Broadribb is going ti zag here when we all expect her to zig — but even if she zigs, I expect the execution of it to be better than my imagination. It may seem like a little thing, or at least a strange thing to comment on in a post like this — but I really appreciated the way that Broadribb worked in a recap of Deep Down Dead to the opening pages here. It’s a lost art anymore, and I just wanted to take a second and say way to go. One minor criticism: it was much easier to tell that this was a book written by a Brit writing an American. 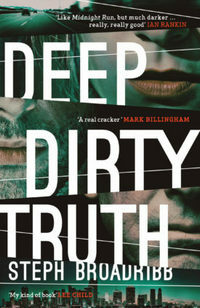 This was a fast thriller, with a story that propels you to keep reading — you’ll read more than you should per sitting, because you just can’t put it down. Broadribb writes like a seasoned pro, with panache and skill. Lori remains one of my favorite new characters for this year, and the rest of the cast of characters are just about as good. I can’t wait to see what Broadribb puts poor Lori, JT and Dakota through next. 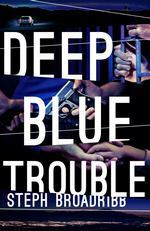 So, Steph Broadribb has put out a short story pre-quel to one of my favorite debuts of the year, Deep Down Dead — which is numbered 1, so there’s likely more on the way. 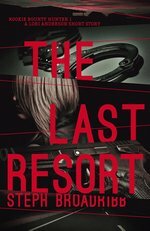 The Last Resort is a short story that gives a glance into the early days of Lori’s training to be a bounty hunter, and an early case she worked. Let me start with the reasons I didn’t want to read this (keep reading, or skip this if you want to get to the positives): I don’t typically like prequels, especially prequels that tread the same ground as the original stories. Deep Down Dead talks about Lori’s training, about the relationship she has with her trainer — and I liked the way it did that. I didn’t want this to take anything away from the way Broadribb opened up the relationship throughout the novel. Here’s why I’m glad I read it: It. Rocked. While that’s all I need to say, I should expand a bit: Lori’s a rookie, she makes rookie mistakes, but she’s got the same heart, the same moxie, and (probably more importantly) Broadribb writes with the same panache and apparent sadistic glee in seeing her creation get beat up. And, it doesn’t trample anything from the novel. So forget about that objection/caution. This is listed everywhere as 55 pages — it’s not. There’s some promotional material/samples of Deep Down Dead and the like. I’m not sure exactly how long it is — but it’s pretty unimportant. You’re not going to put it down once you start and it’ll be too short. Even if it was 55 pages, it’d be too short. Because once you step into Lori Anderson’s world, you don’t want to leave. Fast and furious, this’ll help readers remember why thy fell for Lori — or will convince new readers that they need go get the novel. Either way, it’s a win. 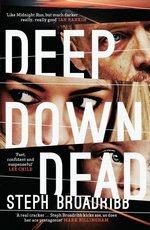 Crime Fiction blogger turned novelist, Steph Broadribb’s debut novel, Deep Down Dead is the story of a bail enforcement agent (bounty hunter) making a pickup that will change her life in a fairly dramatic way. Lori Anderson couldn’t be in worse financial straits — her daughter’s medical bills from Leukemia (currently in remission) treatment are so far past due that future treatment is in jeopardy, and they’re about to get evicted from their home. So when the bondsman she works for offers her the largest amount she’s ever been offered for a job, she has to jump at it. It’s supposed to be a simple midnight run, go pick up the fugitive from another agent not licensed in Florida (or he’d drop off the fugitive himself) and deliver him to the police herself. Almost immediately, problems start (none that deter Lori from the cash reward waiting) — her sitter has plans, so she has to take her daughter, Dakota, with her. Secondly, the fugitive in question is her former mentor, JT — the one who taught her everything she knows, who’s inexplicably got a criminal record now. Then when she arrives at the pickup, the agent she expects isn’t there — instead three very aggressive ruffians (best word I can think of) are there and decide to rough her up a little. Things really go downhill from there — before Lori knows it, she’s got bigger problems than getting her money. She has to deal with a criminal enterprise running from one of the state’s largest amusement parks; a mob with a long-standing grudge; corrupt law enforcement officials; and being a suspect in violent crimes. This is intertwined with the story of Lori and JT’s past association, how he saved her life and set her on the path that she’s on now. By the time I got to a whopping 12% my notes started using the word “brutal.” This was like if Pierce Brown took a crack at writing Stephanie Plum. Most of the time the violence (gun play or hand-to-hand) was brtual, but not overwhelming — just heightened enough to fit a crime novel. You like Laurie almost instantly, Dakota will charm you and grab your heart, and you’ll even appreciate JT (maybe more . . . ) and his crusade — at the very least, you’ll get the connection between he and Laurie. The villains are evil, no two ways about it — but not in the mustache-twirling way, just in the kind of evil that we like to pretend doesn’t exist in this world. It’s not just in her characterization, but it’s in her plotting, pacing and interweaving the stories of present and past that Broadribb displays more skill than your typical debut novelist. This lived up to every expectation I had from the interviews, reviews, etc. that I’ve heard and read, which was a relief. I sorta feel like I’ve been giving too many 4 Stars lately, like I’ve been overly generous, so I tried to rate this lower. But I just can’t — this is a 4 Star book, easy — and with a little more experience under her belt, Broadribb (and Anderson) will be knocking out 5 Star reads regularly. I can’t wait to see what’s next. Disclaimer: I received this eARC from Trafalgar Square Publishing via NetGalley in exchange for this post — thanks to both for this entertaining and almost traumatic experience.